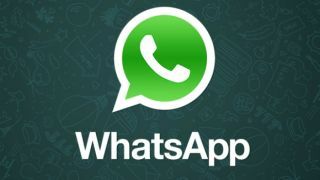 Facebook has lost its mobile messaging lead to the upstart WhatsApp platform, according to new research published this weekend. OnDevice surveyed almost 4,000 smartphone users in five countries and found that a whopping 44 per cent of them were using WhatsApp to stay in touch with friends. 35 per cent of those folks - in US, Brazil, South Africa, Indonesia and China - were using Facebook Messenger in November. Despite eliminating BlackBerry users, the reborn BBM platform was down in 5th place with a respectable 15 per cent of those surveyed using the service, behind WeChat (28 per cent) and Twitter (16 per cent). BlackBerry's platform does seem to be doing exceedingly well in South Africa, according to the study, will 34 per cent of surveyed users frequenting the app in November. Another takeaway from the research was the popularity of social messaging apps compared with traditional SMS messaging. OnDevice found the 85 per cent of its sample used the likes of WhatsApp and Facebook last month, while 75 per cent used text messages. As is often the case with these surveys, it's by no means conclusive. There was no mention of the $3 billion-valued Snapchat, while the influential European mobile market was ignored entirely.